Reserve a space for your kid’s birthday party at Mahon Point where you can choose from the 6 restaurants on offer in the Food Court and ensure everyone can sit together. A decorated table will be reserved for you so that you can order from the restaurants of your choice on arrival. 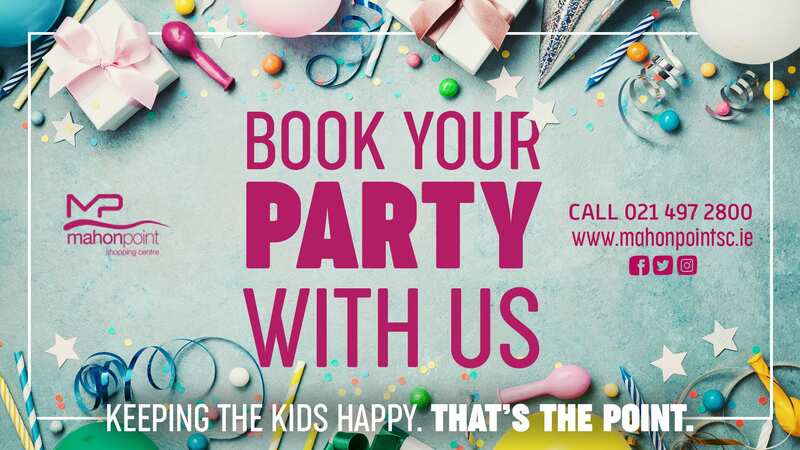 To book your party area, complete the booking form which you can download here and return it with your €20 Administration Fee (which covers reserving, personalising and decorating your party area) to the customer service desk in Mahon Point to secure your booking. We regret that bookings cannot be taken over the phone. 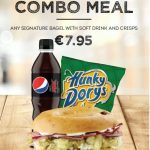 Please note: Only food and drinks purchased in the Mahon Point Food Court can be consumed there. You may bring along your own birthday cake to enjoy during the party. Reservations are first come first served and subject to availability. Please also note, Downstairs seating only available, in an area designated by Food Court staff. Bookings should be maid at least 72 hours in advance. During the month of December & for the first two weeks of January, we cannot accept Party Bookings, with the exception of Mon- Fri.